Many passersby notice elegant brass plaques mounted on Washington’s numerous historic buildings, but one on the house at 1301 Corcoran Street, NW that simply reads “Zalmon Richards House” certainly tends to arouse curiosity. Just who was this man with the odd first name, and why was he important? 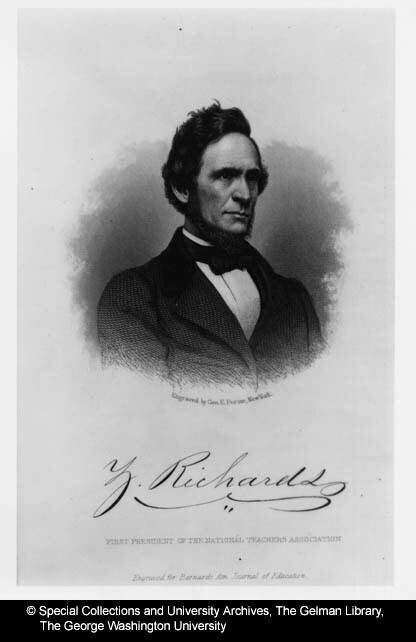 Some quick research reveals that Richards (1811-1899) was a leader in both local and national public and private education, and one of the founders of the National Education Association and the Young Men’s Christian Association (YMCA). He and his second wife lived at 1301 Corcoran Street from 1882 until his death in 1899. Her family members, on the other hand, were chiefly responsible for the infamous Salem witch trials! Research does not reveal the origin of his rather unusual first name, however. It is curious to note that he signed his name only with a Z, and was known to have “vials of wrath if one called him ‘Zed.’” (Allen C. Clark, Records of the Columbia Historical Society, vol. 42/43, p. 145) His brother was seemingly equally cursed, having been named Almarin; He served as a principal of the old Prescott High School on 8th Street, between K & L Streets, NW., and served as a Superintendent of Police from 1864 to 1878. Zalmon Richards had been born on a farm in Cummington, Massachusetts on August 11, 1811, the son of Nehemiah and Elizabeth (Packard) Richards. He attended the Cummington Academy and the Southampton Academy to prepare for his entry into Williams College in 1832. His tuition was paid for by private teaching and small loans that he repaid after his graduation in 1836. He also pledged himself to abstain from alcoholic beverages when he joined the Baptist church just prior to his undergraduate work. 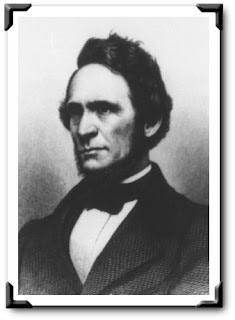 Richards returned to his alma mater to become the principal of the Cummington Academy after receiving a MA about 1838. The following year, he married his assistant teacher, Minerva A. Todd, and they moved to teach at the Stillwater Academy in New York. Richards became principal of the preparatory school for Columbian College in Washington beginning December 1, 1848. The school was established for students wishing to enter Columbian College (now The George Washington University) and was then located at 14th and N Streets. Built of brick in 1822, it measured 25 by 30 feet and housed about 17 students. It had a checkered past, due to the fact that during its first 26 years in existence, from 1822-1848, it had no less than 17 principals. Zalmon served as its Principal until 1851. In the 1850’s, the termination of the school year in Washington was marked by examinations, followed by public presentation of prizes. In 1851, a parade of two thousand students marched through the streets of Washington, joined by the Marine Corps Band, Mayor Walter Lenox, and trustees of the public schools, who were all greeted by thousands of spectators. Richards then addressed the crowds. Richards and his wife purchased a 43’ x 103’ vacant lot the northwest corner of New York Avenue and 14th Street on September 12, 1851, and opened the Union Academy the following year. Richards attended the preliminary organizational meeting of the Young Men’s Christian Association (YMCA) on June 9, 1852 at the Masonic Hall. He served as the organizations first President, beginning later that month. The YMCA first occupied the buildings at 437-441 7th Street, NW. The Academy flourished until 1862, when Richards was employed as a clerk at the Treasury Department during the Civil War. His wife ran the Academy alone until the end of his Treasury job 1867. That year, Richards had become active in securing the establishment of the National Department of Education, and served as its clerk until it was transferred to the Interior Department in 1869, when he went back to teach at his Union Academy. From 1869 to 1871, Richards served as the first appointed superintendent of public schools in the District of Columbia. He was later appointed the city’s auditor from 1872 to 1874. Apparently, Richards enjoyed becoming intimately involved in new organizations that he had a passion for; he attended the organization meeting of the National Teachers Association on August 26, 1857, and was elected as its first president as well. It later became the National Education Association. Among its founding members, at least one-fourth were faculty members or administrators from institutions of higher learning, including John Seeley Hart of Princeton, Calvin Pease of the University of Vermont, and James R. Challen of Northwestern University. A true renaissance man, on July 4, 1864, Richards even witnessed the signing of a dedicatory hymn he had composed for the opening of the Wallach School. In 1871, he attempted a partnership with Henry R. Miles to manufacturer paper files and carpet stretchers on the Academy grounds that failed the following year. The Academy itself was foreclosed upon in August of 1877, and the Richard’s moved into the Rugby Hotel. Richards’s wife Minerva died in the afternoon of July 15, 1873. Richards married his second wife, Mary Frances Mather, on August 19, 1874, just thirteen months after the death of his first wife. Mary had been born in Darien, Connecticut on November 5, 1835. She was twenty-four years his junior (he was 63 she then 39). Mary was a direct, lineal descendant of the famous Rev. Cotton Mather (1663-1728), a Puritan Minister at Boston’s Old North Church and chief cause and promoter of the Salem witch trials. 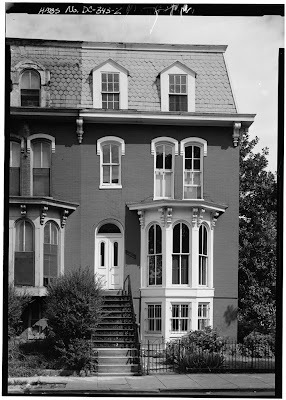 Following the wedding in Darien, they resided on the Academy grounds at 1401 New York Avenue, NW. They moved into 1301 Corcoran Street in 1882, and resided there until her death in 1896, and his death there at 4:15 am on November 1, 1899. He is interred in a family plot in Oak Hill Cemetery next to his two wives. The Zalmon Richards house was placed on the National Register of Historic Places in 1966 as an individual landmark, long before the surrounding neighborhood was considered for historic district status.